Observation - SMOOTH NEWT - UK and Ireland. Description: Lizard like reptile,about 100-110mm long ,circular black spots on sides slight crest on spine. 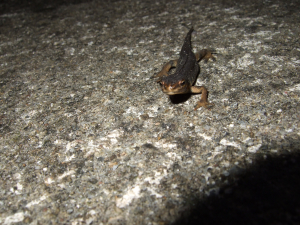 Lizard like reptile,about 100-110mm long ,circular black spots on sides slight crest on spine.